Special feature is a fold out rubber piece for quick change magazine Suitable for ARES / Amoeba M4/ M16 Series Airsoft Electric Rifles. 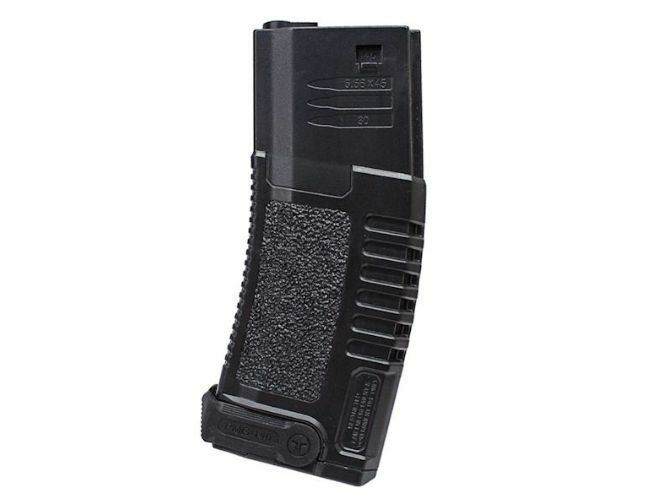 This Mid cap magazine is made from tough Polymer, giving it strength and durability but keeping down the weight.It comes with a flip mag pull which will allow the user to withdraw the magazine from mag pouches. This one is made for Amoeba range, and is made to fit the STANAG Amoeba ranges. Medium size with a spring design. Will hold up to 140 rounds. better grip with grain effect.